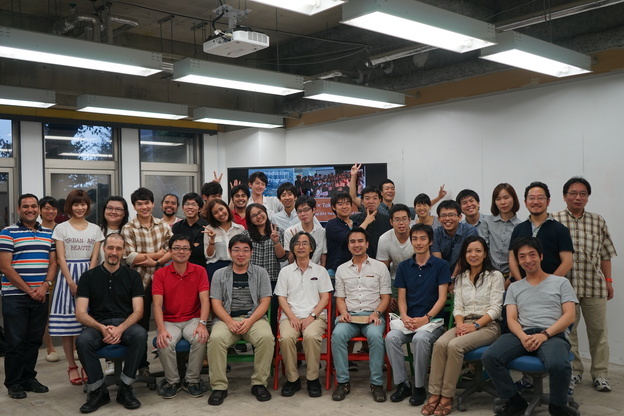 This is the 3rd annual UEHAS workshop where the students of Chulalongkorn Uni. (Bangkok) and Tokyo Uni. cooperate to create plans for a certain site. 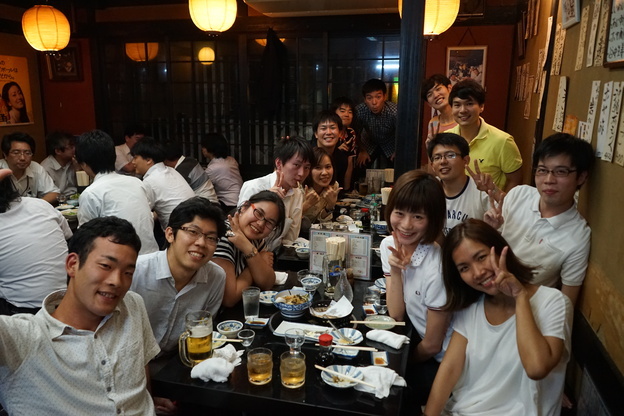 It is the WS I took part in Bangkok last year, but this year, I have become a member of the staff to host it in Tokyo. 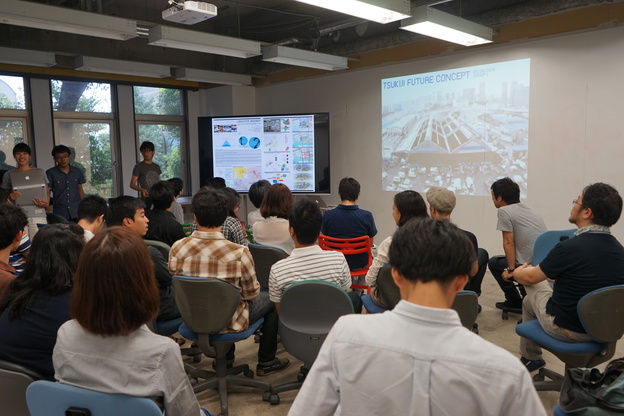 The 4 international teams proposed 4 different plans on the Tsukiji site after the allocation of the fish market as the output after a 10 day workshop. 1. Keeping the original structure of the fish market and turning it into a creative market, utilizing all the surrounding houses and warehouses that used to work with the fish market. 2. 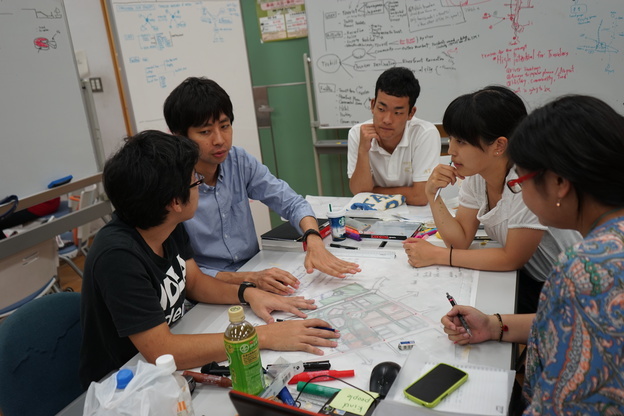 Creating an open space that allows as many types wild of activities as possible, including extreme sports, and in turn will be utilized in a totally different way during disaster. 3. 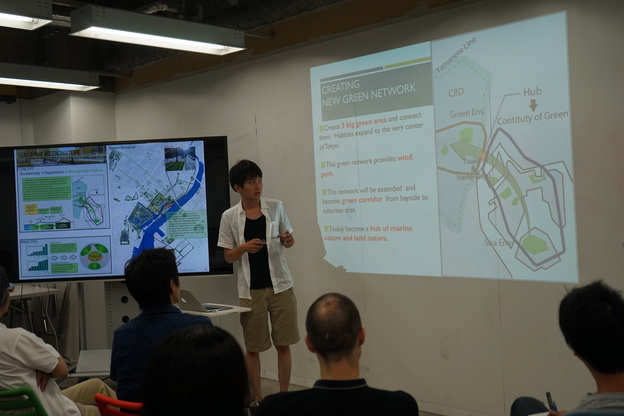 Recreating the tidal land and connecting the site to Hamarikyu and Shibarikyu to create the biggest and most accessible park in Tokyo. 4. Creating a boat route from Haneda and creating a bus park ＋ pier to make the site a gate and hub to Tokyo for foreign tourists. 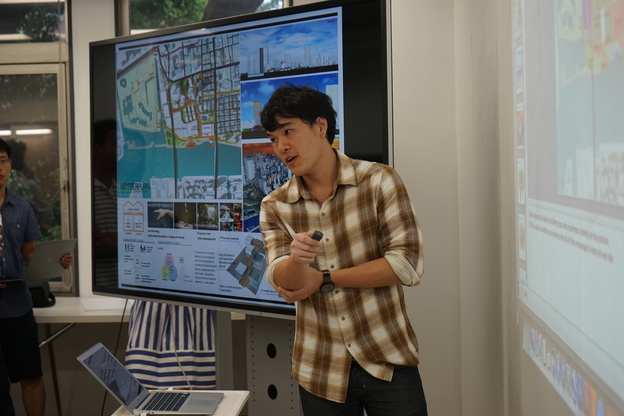 The WS was intensive with many talented students from Thai and very good output. I hope some how that these plans can impact the actual planning of the site. This is not for certain yet, but we may have an opportunity to present the out put to the public.